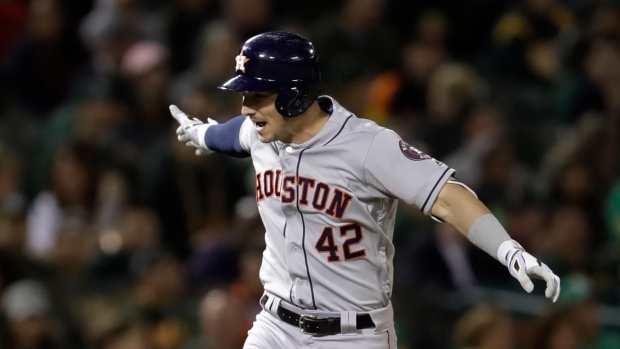 OAKLAND, Calif. — Collin McHugh has had a few close calls on the mound — nothing like this line drive he somehow dodged with an acrobatic manoeuvr that allowed the Astros to turn a nifty double play behind him. With April as World Autism Month, the A's on Tuesday unveiled a sensory room in one of the centre-field suites. The quiet, peaceful space provides fans of all ages with autism, Down syndrome, post-traumatic stress disorder, dementia or other conditions a calming and soothing spot where they can deal with sensory issues.